Here the students have to observe the pictures and the given punctuation. 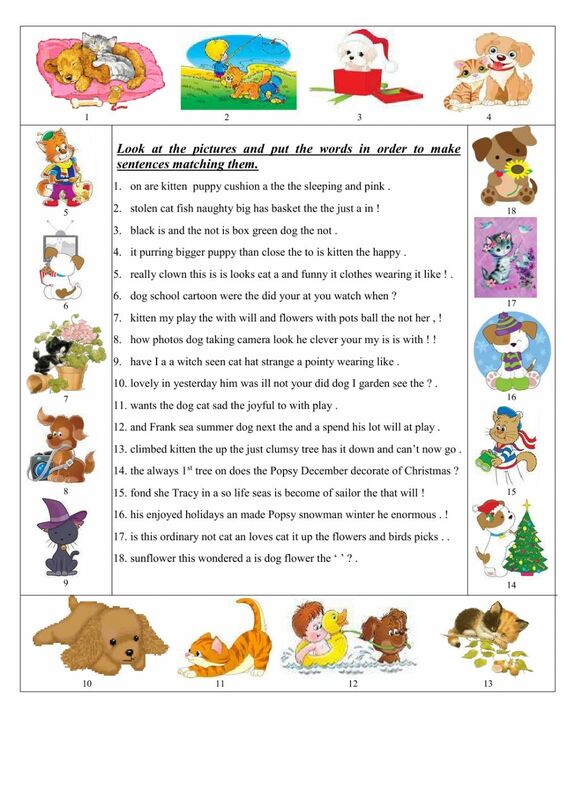 The sentences are in the good order and the students will have to reorder the words to make sentences grammaticaly correct. Key provided. Good work! Copyright 10/14/2016 Maryse Peyé. Publication or redistribution of any part of this document is forbidden without authorization of the copyright owner.